Losing appetite decreases the body’s resistance power and could ingest the organisms in one’s body that leads to slowing down of the natural healing process of their body. Several reasons contribute to the loss of appetite, ranging from as small as cold or flu to bigger issues such as tuberculosis, low thyroid levels or even heart/ liver/ lung disorder. At the same time, it need not be due to some physical issues but could also be due to emotional or spiritual issues. Loss of appetite or Anorexia could have an impact on one’s overall health in an overdramatic and a dangerous manner. This anorexia occurs primarily due to bad eating practices and is especially developed or experienced by women who get tempted to cut down their weight in extreme ways. Women who try to become size zero (where being thin is not at all enough) often experience anorexia. They try to reduce weight extremely – feeling as if they could lose another inch even if they have lost considerable weight. It is essential to treat this disorder at the earliest possible as a reduced urge to eat could lead to weight loss as well. When consuming less amount of food, one’s body weakens since the quantity of nutrition and calories taken in declines and the body grows to be vulnerable to several diseases. A day’s fasting is good for assimilating mucus. One should have newly prepared warm food items. Food should be taken at regular interval of time, such that the prior meal gets well digested. One should avoid nibbling between the meals. Where psychological aspects are associated, one should try to create calm and cheerful atmosphere, which would help to improve the condition. When one gets to be in the company of good friends and relations, they get to relieve stress which in turn improves digestion. 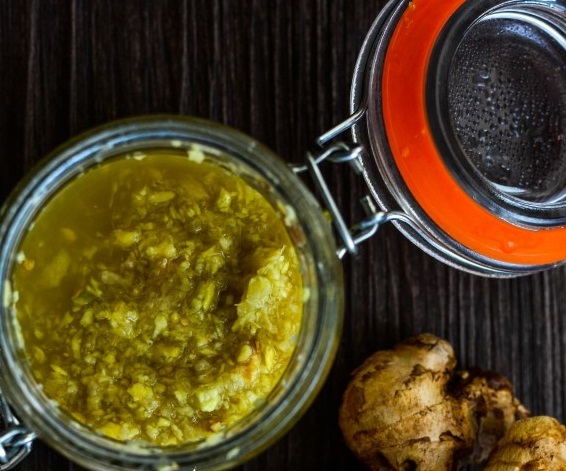 Ginger is specially prescribed for anorexia as it aids in enhancing appetite. When ginger is taken with rock salt on a daily basis, it works miracles on a troubled stomach and also helps stimulating one’s appetite. 1. Mix 1 tablespoon of ginger juice or 1 teaspoon of ginger paste with 1 tablespoon of fresh lemon juice, also add pinch of rock salt in it. Consume this mixture 20 minutes before breakfast, lunch and dinner. Do this every day for fast result. 2. Take equal quantities of powder of dried ginger root, long pepper, cumin seeds, and 2 tablespoon of black pepper. Grind all these ingredients to make fine powder. Also add some rock salt in this mixture. Store it in an airtight container. Mix 1 teaspoon of this mixture with 1 teaspoon of honey and consume this 15 minutes before lunch and dinner. Follow this remedy daily to increase your appetite. 3. Take equal quantities of cumin seeds, powder of dried ginger root, mustard seeds and some rock salt. Grind all these ingredients to form a powder. Mix 1 tablespoon of this powder in glass of buttermilk and consume it 30-45 minutes before your meal. Do this once or twice a day. In Ayurveda, cinnamon is utilized to stimulate appetite and boost the secretion of gastric juices. 1. Add one tablespoon of cinnamon powder or bark in glass of water & mix it well. 2. And boil this mixture for 4-5 minutes on slow flame. 3. Then add 1 tablespoon of honey and pinch of black pepper powder to it. 4. Consume this mixture twice a day 30 minutes before heavy meals like lunch and dinner. 5. Repeat this regularly for 2-3 weeks & see the visible results. Fenugreek seeds can be effective to deal with anorexia. These seeds can even boost one’s hemoglobin levels. Fenugreek seeds are also rich in protein, carbohydrates and also contain healthy fats. They aid in boosting the secretion of gastric juices, which enhances one’s cravings for food. 2. Boil them in glass of water for 7-8 minutes on slow flame. 3. Allow the seeds to steep till the water cools down. 4. Then Strain the water and add 1 tablespoon of honey in it. 5. Consume this mixture once or twice a day to increase your appetite. Water naturally aids cleansing one’s digestive tract and also promotes hunger. One should drink warm water first thing in the morning in order to cleanse the digestive system. This also gets rid of toxic substances that could have accumulated in the digestive tract. This boosts appetite and increases the desire to eat. This is an easy way to treat anorexia at home easily. Tomatoes contain natural acidity that causes one’s digestive tract to produce more gastric enzymes, which consecutively boosts one’s appetite. Hence, in order to overcome anorexia, one has to consume raw tomatoes. Even those who no appetite at all and are completely anorexic, this remedy would definitely help them regain cravings for food. 1. Add some coriander seeds in warm water. Let it steep for at least 30 minutes. 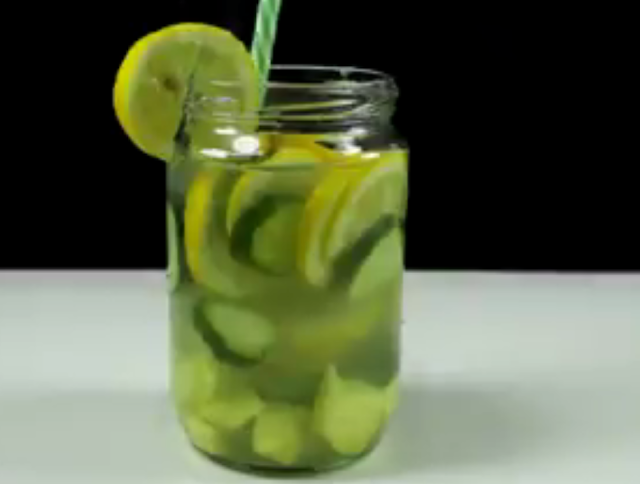 Strain this mixture and drink it before eating. 2. Take one teaspoon of coriander seeds, one teaspoon of fennel seeds, half teaspoon of cinnamon powder and half teaspoon of cardamom powder and soak them all overnight in glass of water. Next morning, blend them all and strain the water. Add 1 tablespoon of honey to this water and consume it on an empty stomach within 30 minutes when you wake up to increases your appetite. 3. Take six drops of coriander oil, four drops of black pepper oil, one drop of peppermint oil, three drops of ginger oil and eight drops of chary sage oil. Mix all these in an air tight container. Shake them well turning the container upside down repeatedly for few minutes. You can mix by turning the container sandwiched between your palms. You can smell this mixture whenever you do not want to eat anything. Soups generally enhance one’s appetite. Vegetable soup, with a bit of black pepper and rock salt, works as an excellent appetizer. Those who eat non vegetarian food, chicken soup would be favorable. 1. Grind cup of black peppers in mixer grinder to make fine powder of it. 2. Take half teaspoon of this powder and add 1 teaspoon of honey to it, mix it well. 3. Consume this mixture every morning on n empty stomach and 30 minutes before your dinner. 1. 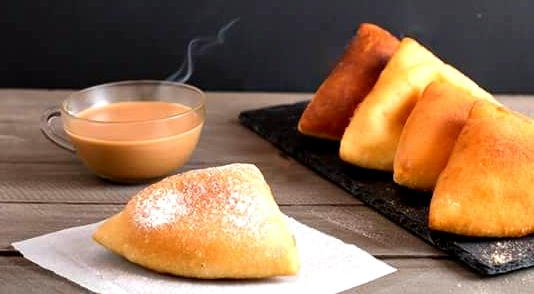 Boil half teaspoon of black pepper powder, one tablespoon of jaggery or Rock candy (rock sugar), 1 tablespoon of fresh ginger paste or juice in glass of milk for 8-10 minutes on slow flame. Consume this mixture every day to increase your appetite. 2. Prepare healthy salad using tomatoes, beets, cucumbers, cabbage, capsicums and carrots etc. Sprinkle half teaspoon of black pepper powder, pinch of rock salt and 1tblespoon of honey on it. Have it once or twice a day to improve your hunger. Apples are also great appetizers. Besides giving iron to one’s body, they also have the capability of stimulating appetite. It boosts the discharge of one of the most vital enzymes in the stomach known as pepsin, which aids digestion of food. 2. Add these pieces in glass of warm milk. 3. Also add 1 tablespoon of honey & half teaspoon of black pepper powder to it. 4. Mix all these ingredients well together. 5. Consume this every day, once or twice for fast result. Or eat apple and follow it up with a glass of warm milk, add 1 tablespoon of honey in this milk. You should take this juice continuously on a daily basis for a minimum of three weeks in order to get successful outcome. 1. After extracting the juice from sour grapes, mix them with some flour and make it into dough for bread. Bake this bread and eat it for at least 15 days in order to get over the eating disorder. Doing this improves digestion and tends the digestive system.